The Win2PDF setup program creates a printer in the "Devices and Printers" folder named Win2PDF. Here is a YouTube video that shows a brief introduction to Win2PDF. •View File - Opens the file in the default viewer after the file is created. 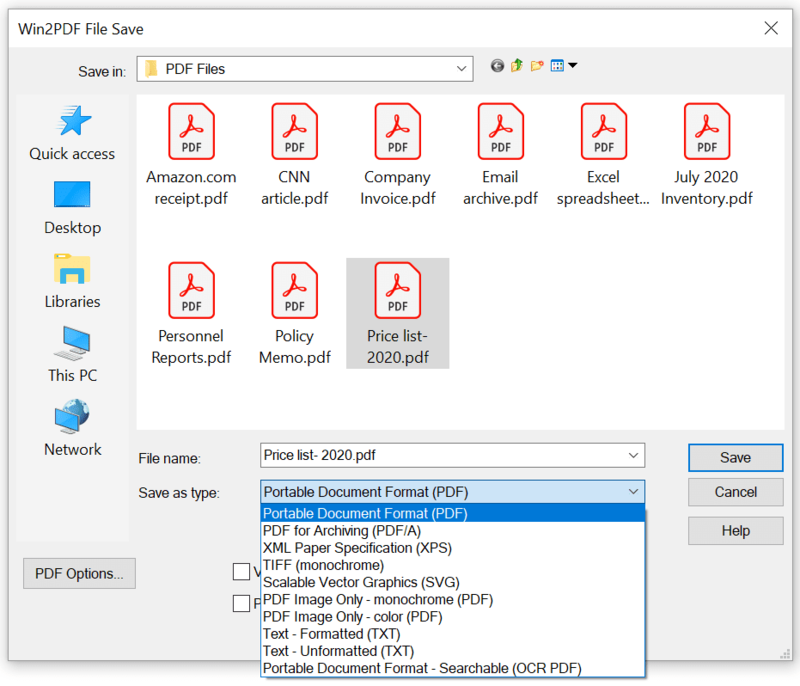 •Print File - Prints the file to the selected paper printer after the file is created. •Send File - Opens a new email message using the default MAPI-compliant email client and attaches the file to the message. The email program is specified in the Internet Options icon in the Windows control panel. If the Win2PDF Mail Helper application is installed, the Mail Helper application will be opened to send the email instead of the default MAPI client. •Delete after Sending - Deletes the document after it has been sent using the "Send File" option. You can use the file save window to browse to a new location before saving the document. Win2PDF remembers this location, and will use the same location the next time you create a document. If you want to skip the save Window, see the Win2PDF Auto-name feature.